Description: The LAN-Power LP-2330 PoE and Ethernet Data Segment Extenders is a SPECIAL ORDER ITEM only. Please see LP-2340 or contact us for further information. 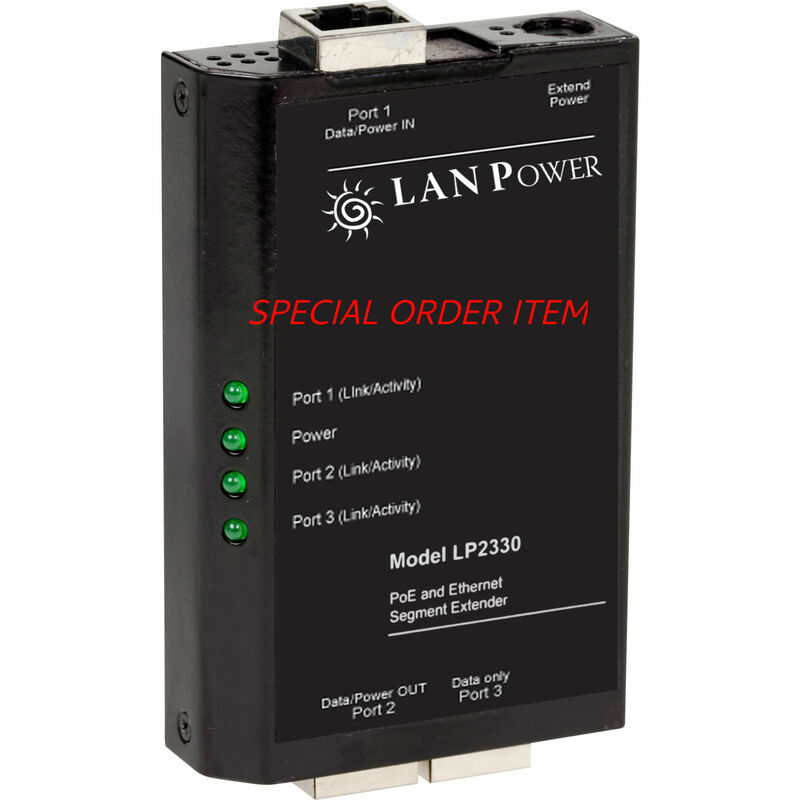 The LAN-Power LP-2330 and LP-2350 PoE and Ethernet Data Segment Extenders are SPECIAL ORDER ITEMS only. Please see the LP-2340 and/or LP-2360 for direct replacement products. For more information contact us directly.